What is the iCon 2014 all about? A lot of people have been talking about iCon — the Investment Conference 2014. Not only is it the biggest investment conference of the year, it really is about more than just investing. The iCon started as a personal dream of mine and in 2013, that dream became a reality. It sounds very self-serving on my part to be writing about a conference I am organizing so allow me to post here a wonderful article that my friend & respected motivational speaker Jayson Lo wrote about regarding the iCon 2014. PEOPLE ARE FOND OF THE IDEA OF GETTING RICH THROUGH INVESTING. THEY WOULD WATCH MOVIES LIKE THE WOLF OF WALL STREET OR TV PROGRAMS SUCH AS THE LIFESTYLE OF THE RICH AND FAMOUS, AND THINK THAT INVESTING OR GETTING RICH IS ONLY FOR HIGH ROLLERS AND THE AFFLUENT. What most people don’t know is that the game of investing is open to everyone—from the simple to the sophisticated, from the young to the old, from the rich, the middle class, and even to the poor. Today, the game has drastically changed. The only thing that is standing in our way is FINANCIAL LITERACY. My good friend Randell Tiongson, one of the 12 most influential people on finance in the Philippines, has been a staunch advocate of financial literacy. 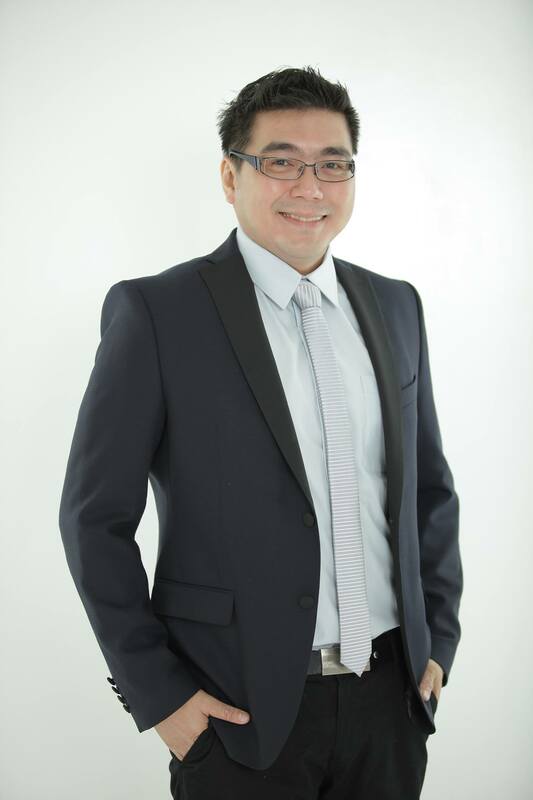 He used to organize events where he was the lone speaker, until he finally realized that the job is bigger for just one individual to educate Filipinos on personal finance. That’s when Icon was born. Randell gathered the top finance speakers and practitioners in the Philippines to promote financial literacy. iCon is a great place to learn about finance, both for the novice and the adept. For beginners, the conference introduces the different aspects of personal finance, which includes financial behaviors, debt, investing in real estate or the stock market, and so much more. For the accomplished, the conference will update their know-how by getting added knowledge from experts in different fields. When my business went bankrupt, I lost millions and fell into debt. Although my future looked bleak, I never considered myself poor. I only considered myself broke, because poor is permanent and broke is only temporary. I also know that I have a rich God. A healthy financial well-being is a reflection of our wealthy spirit and, in turn, touches the spirit of others. Once you have it, a wealthy spirit is contagious. Wisdom is not just knowledge or information; it is about insight and understanding on how to live life skillfully. You will often hear old people say, “The best teacher is not experience, but other people’s experiences.” Icon gives us more than 100 years combined experience from the top finance speakers and practitioners in the country. They will share their success and, most importantly, their failures in life. If you heed their advice, this will cut out years from your learning curve. iCon gives opportunities to build new relationships. In fact, I met many of my friends in the finance industry from public seminars like Icon. This avenue is a great way to add to your contact list. Look for mentors who will teach and guide you, peers who will support you, and mentees whom you will mentor to pay it forward. After all, what’s the use of learning something if you can’t share it with others. “Why ask someone to predict your future if you can create it?” I heard this quote more than a decade ago, yet it still rings in my mind. Spend less than you earn and do it for a long time, then you will be financially independent. Of course, this is an oversimplified maxim to financial independence, yet one can use its wisdom as a powerful blueprint towards creating the future. Just like what my good friend Marvin Germo, author of Stock Smarts’ “Stock Investing Made Easy,” would always say, “This is the best time to invest in the Philippines. Why should foreigners be the only ones to benefit when we ourselves could benefit by growing with our country?” After attending Icon, you will discover that investing in your future means investing in the Philippines. JAYSON LO, a public speaker and consultant to companies, non-profit organizations, and educational institutions, he endeavors to develop their top asset: people.